This is a pack of 50 Blue Iris, glass QuadraTile beads. Their sides are approximately 6mm in length and they have four holes. 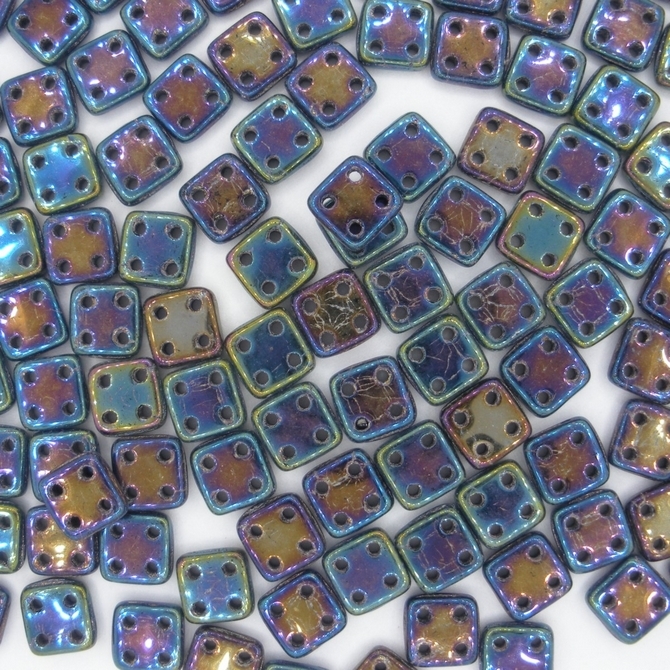 The beads were made by Starman for their CzechMates range and the holes are approximately 0.8mm in diameter. The number for these beads is PB331-66-21435JT.